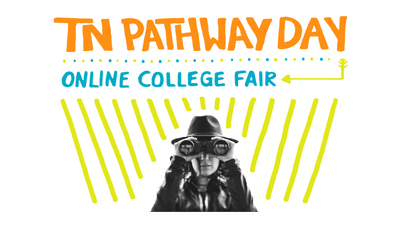 Join us for TN Pathway Day Online College Fair to get all the information you need to chart your course through college! Discover the opportunities available through the Tennessee Transfer Pathways, whether you are just starting out or ready to move on. Register to live chat and research more about how to save time and money on your way to a degree.